Bring your imagination! 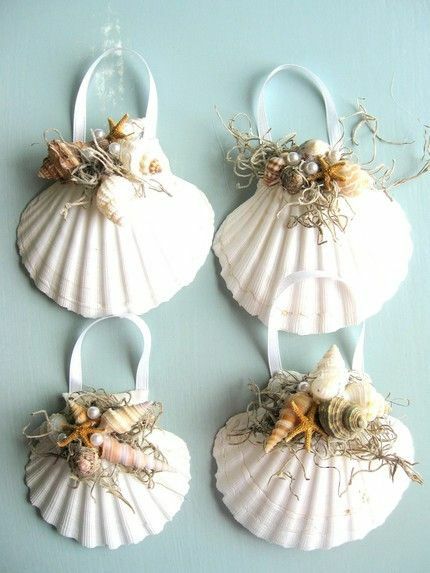 Create ornaments and decorations with holiday themes from shells, sea beans, pine cones, and colorful craft supplies. Materials are provided, but you are welcome to bring your own holiday décor to add to your natural creations. Make a beautiful keepsake for yourself and one to give as a gift. Ages 7-adult, children under 18 must sign-up and participate with a paid adult. This year we are offering two sessions. The sessions are identical. Separate registration and payment required for each session. Our morning session is sold out. Online registration will close 24 hours before the start of a program. Walk-ins welcome based on availability. Programs are subject to cancellation if a minimum sign-up is not reached 24 hours before the start of the program. No refunds unless a program is canceled by Gumbo Limbo Nature Center. Programs are subject to cancellation if a minimum sign-up is not reached 24 hours before the start of the program. No refunds unless a program is cancelled by Gumbo Limbo Nature Center.